Screen laminating machine referred to “G+ F laminating machine,” “soft to hard laminating machine,” “soft to soft laminating machine” “F + F laminating machine” “G+ P laminating machine “” AB glue laminating machine “” OCA laminating machine, “” laminating machine “,” SMT machine “” laminator “” laminating machine “, using the vacuumflap and fast screen exhaust screen printing respectively, through the fixture and screen positioning and vacuum suction well OCA, AB glue, etc. 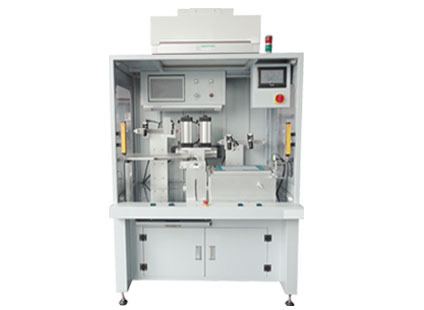 solid planar optical adhesive material, flip flap parallel with stencial laminating in the plane of a certain space , CCD optical automatic alignment system assisted XYθ automatic servo platform group ,AF MAX coordinates position and lock in the system to maintain the level in the bottom of screen . Through soft rubber roller which at the bottom of a screen ，in joint optical plastic and glass or under ther hard surface material by use of rapid gravity rolling pressure to laminate.. Primarily for touch screen fit (ie glass (COVER LENS) and functional pieces (SENSOR GALASS) laminating) before assembly laminating (capacitive touch screen (CTP) and LCD module (LCM), OLED laminating) before , OGS laminating (OGS GLASS and LCD module (LCM), OLED laminating) sticker attached to the front of optical processes. Stencial laminating machine are widely used in a variety of touch screen laminating (namely glass (COVER LENS) and functional pieces (SENSOR GLASS) fit, maintenance; assembly laminating (capacitive touch screen (CTP) and LCD module (LCM), OLED laminating); OGS laminating (OGS GLASS) and LCD module (LCM), OLED laminating); glass (COVER LENS) and ON CELL display module, IN CELL display module full laminating such as: mobile phone touch screen, capacitive vehicle navigation, capacitive LCD, capacitive tablet PC, LCD / LCM assembly with CTP manufacturer . The working principle of Stencial laminating machine (soft to hard) XCT97 – A1 is to use the vacuumflap and fast screen exhaust screen printing respectively, through the fixture and screen positioning and vacuum suction well OCA, AB glue, etc. solid planar optical adhesive material, flip flap parallel with stencial laminating in the plane of a certain space , CCD optical automatic alignment system assisted XYθ automatic servo platform group ,AF MAX coordinates position and lock in the system to maintain the level in the bottom of screen . Through soft rubber roller which at the bottom of a screen ，in joint optical plastic and glass or under ther hard surface material by use of rapid gravity rolling pressure to laminate.